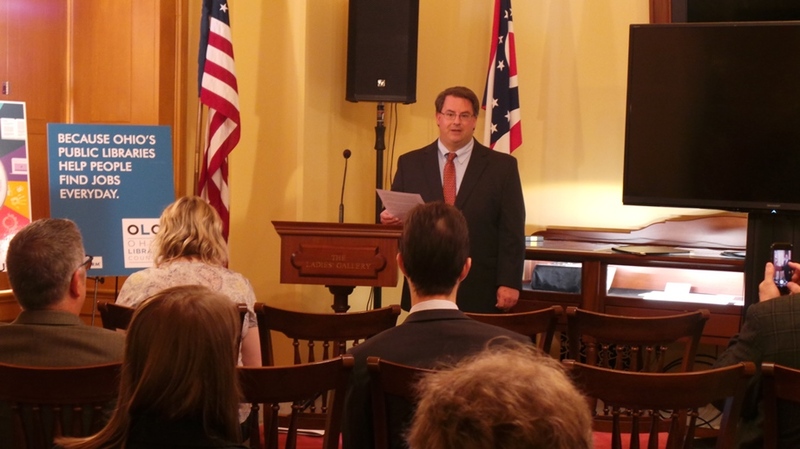 Michael Penrod, Chair, OPLIN and Director, Wood County District District Public Library, announces new agreement with LinkedIn during news conference on July 17, 2018 at the Ohio Statehouse. The Ohio Library Council (OLC) and the Ohio Public Library Information Network (OPLIN) announced today that through an agreement with LinkedIn, Ohioans will gain free access to the online courses from Lynda.com with a valid Ohio library card. The agreement is the first-of-its-kind in the nation between LinkedIn and a statewide system of public libraries. 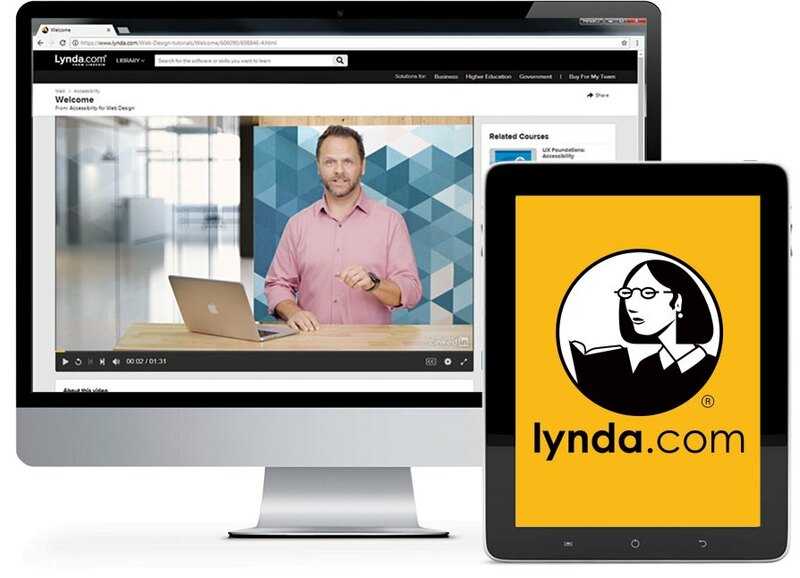 Lynda.com, a company acquired by LinkedIn, is now part of LinkedIn Learning, and helps anyone learn business, technology and creative skills to achieve personal and professional goals. The service has more than 12,000 courses, ranging from computer programming to project management, including instruction on various computer software, programming languages, and business topics. The video courses are taught by industry experts and are designed for any skill level. From left: Michael Penrod, Chair, OPLIN and Director, Wood County District District Public Library; Julie Palmer, Senior Account Executive, LinkedIn; Mandy Knapp, Digital Resources Manager, OPLIN; Don Yarman, Executive Director, OPLIN; Michelle Francis, Director, OLC’s Government and Legal Services; Ryan Burgess, Director, Governor’s of Workforce Transformation. Public libraries naturally inspire continuous learning and have been active supporters of workforce development in their communities providing computer and internet access and training, resume writing, small business resources, and career exploration through STEM programming and makerspaces. 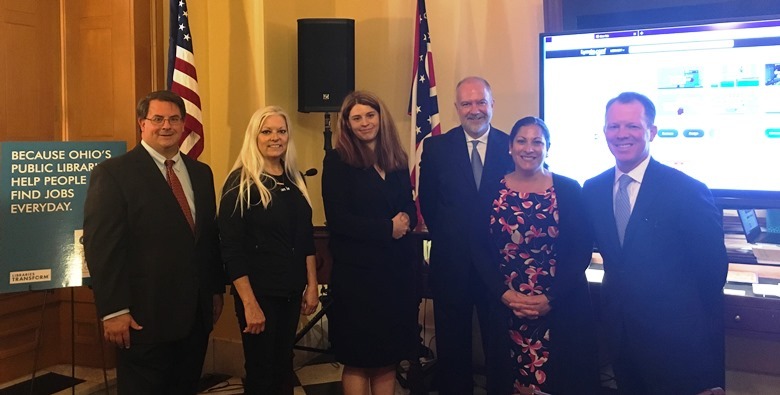 By providing career development resources through Lynda.com, Ohio libraries are able to target a specific need of their citizens, small businesses, employers and local organizations with the goal of driving economic development. Ohioans can access to Lynda.com with an Ohio library card and internet connection. How to Access Lynda.com with an Ohio library card. To find your local library, visit oplin.org/fal/ .